Radio frequency (abbreviated RF, rf, or r.f.) 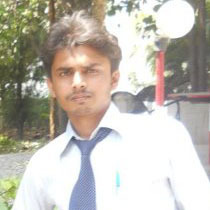 is a term that refers to alternating current (AC) having characteristics such that, if the current is input to an antenna, an electromagnetic (EM) field is generated suitable for wireless broadcasting and/or communications. These frequencies cover significant portion of the electromagnetic radiation spectrum, extending from nine kilohertz (9 kHz),the lowest allocated wireless communications frequency (it's within the range of human hearing), to thousands of gigahertz(GHz). 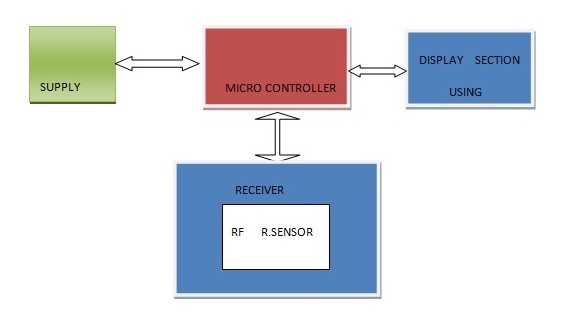 This project is microcontroller based telemetry system used for the successful transmission of data. 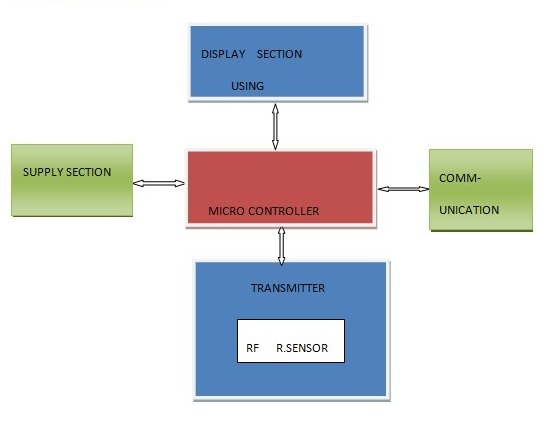 In this project using two microcontrollers, we are transmitting data from one end using RF transmitter and at other end received by RF receiver which is connected to the pin of microcontroller and display on LCD.